With the recent launch of the facelifted Mercedes-AMG A 45 4MATIC, the rest of the compact AMG range received a host of similar enhancements to keep it up to date. 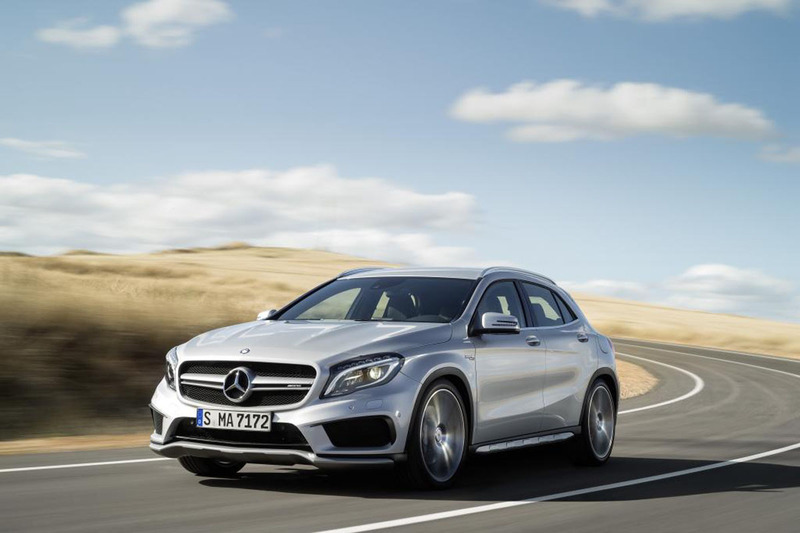 The CLA 45 4MATIC, CLA 45 4MATIC Shooting Brake and GLA 45 4MATIC have all followed the A 45 4MATIC in receiving a host of updates and thus deliver even more driving pleasure and emotional appeal. As expected, the power bump for the 2.0 liter four-cylinder turbocharged engine in the new A 45 4MATIC is carried over on the rest of the range, so all three cars now develop an extra 21 hp than the previous versions. The max power output has now increased to a whooping 381 hp. The torque has also been pumped up making the world’s torquiest series production four cylinder engine even more powerful by increasing its output to 475 Nm (up from 450 Nm). The performance is further amped by the revised gear ratios of the 7-speed dual clutch transmission and the new DYNAMIC SELECT transmission modes which we’ve already seen on the Mercedes-AMG GT. Optionally, customers can choose extras such as the AMG RIDE CONTROL sports suspension or the AMG DYNAMIC PLUS package. “Thanks to the optimally coordinated measures, our compact sports cars are not only the most powerful but also the most agile models in their class”, notes Tobias Moers, Chairman of the Board of Management of Mercedes‑AMG GmbH. “They have all the prerequisites for enabling us to continue seamlessly with our success story in this highly competitive environment”. 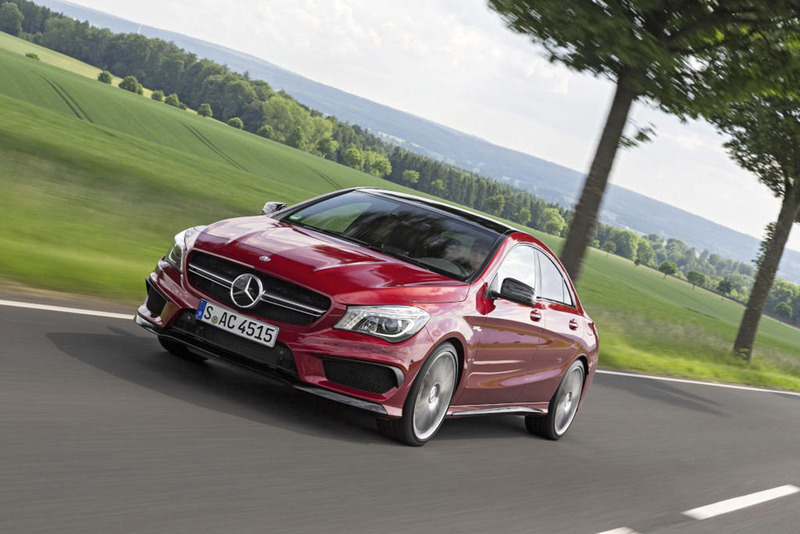 All these new features lead to staggering performance figures: the new CLA 45 4MATIC sprints from zero to 100 km/h in just 4.2 seconds, which is a hefty 0.4 seconds faster than its predecessor, but incurs no penalty on the fuel consumption which remains at the same low level as before. The vehicles are available to order with immediate effect and will be in dealerships from September. 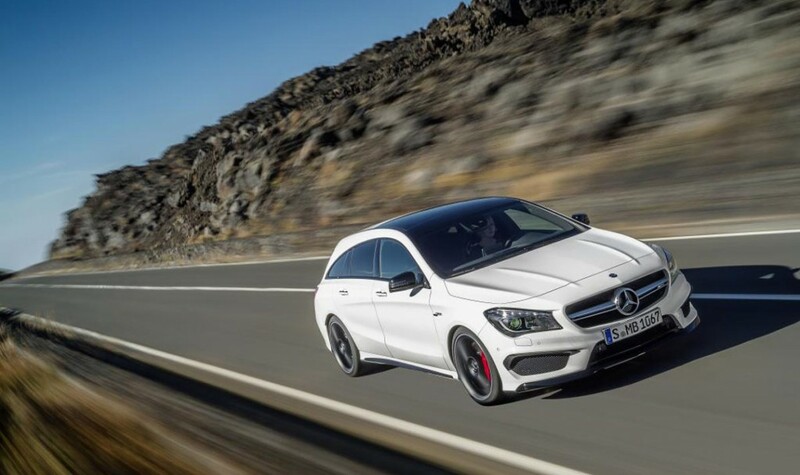 The CLA 45 4MATIC costs €56,673.75, the CLA 45 4MATIC Shooting Brake €57,268.75 and the GLA 45 4MATIC €56,168.00. All prices are recommended retail prices for Germany, including 19% VAT.